Discussion in 'Site Announcements' started by Syera Faelron, Oct 28, 2018. 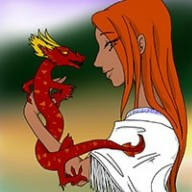 I am pleased to recommend Leala for Aes Sedai. I have interacted with her on the boards and on social media, and I am excited to call her sister. She is caring and empathetic toward everyone I've seen her interact with. She cares about the site and about White. Raise her!! I would like to recommend Leala for Aes Sedai. She's fit us perfectly since her first moment in our Sitting Room and I will be happy to call her my Sister. I would be delighted to call Leala our full Sister! I have been forgetting she isn’t a full White Sister since shortly after she joined as a Citizen. Her integration into the Ajah has been seamless, she feels like she’s one of us now and always has been. I would love to see her Raised! Leala is very active, and has become a great addition to our Ajah She is a fantastic person and she represents all the good values of our Ajah, from our logic way of thinking to how we care and support one another. Welcome home, Sister! We have waited long for you!!! How wonderful! Oh, Leala Sedai. I am so, so happy for you! Welcome to the Shawl, Leala! Congrats and so glad to see it live!!! As things should be, Congratulations Leala!! She was ripped from my Red welcoming clutches! And just as her HoA did before her, she survived a weekend sharing a room with a Red. I am so happy I got to see this! Congratulations!! !